A smarter, easier and cost effective way to connect project owners to domestic and global institutional investors. Register to apply for accreditation. Your application will be processed and vetted by Ai ratings. Get access to Africa’s most exclusive investment market place. We’ve exchanged complexity for simplicity! Sign up today and join our exclusive market place. Browse through global investment opportunities speaking to your investment strategies. Evaluate investments with access to valuable information from ETP files/secure viewing room. Follow through with investments more efficiently. Benefit from AI’s investment expertise, continental presence and proprietary fiduciary rating expertise. 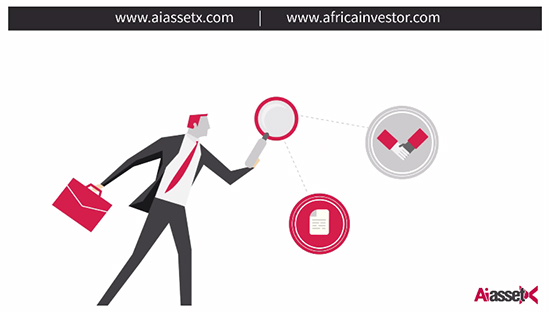 AiAssetX is Africa investors’ online marketplace, designed to profile project and infrastructure investment opportunities and securely connect accredited domestic and international asset owners and institutional infrastructure investors with infrastructure project developers and infrastructure fund and investment managers working in Africa. Find out how you can invest in the abundant investment hub, Africa!